Film fans are set for a summer of magical movie moments as this year’s Bradford Family Film Festival launches its full programme. 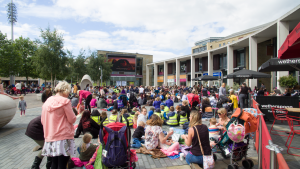 The Festival – run by Bradford UNESCO City of Film – offers free and subsidized screenings in and around Bradford for the entire family to enjoy throughout the month of August. Festival organisers are delighted to welcome the Light Cinema and Bradford Classic as new partners this year and to be working for the second year running with Picturehouse at the National Science and Media Museum – giving audiences more opportunities to see a wide range of films and documentaries. This year’s City Park Film Supporter has been announced as Bradford MDC’s Health Improvement Team who are bringing their Living Well campaign to the heart of the festival. 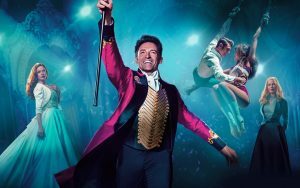 The programme includes everything from family favourites Paddington 2 and Aardman animation, Early Man to a special singalong version of the hit film The Greatest Showman. Picturehouse Bradford is hosting reduced rate screenings of two exciting IMAX 3D documentaries, A Beautiful Planet and Dream Big: Engineering Our World. The newly opened, Light Cinema will be screening reduced rate films every weekday as part of the festival – with titles to be announced each week. Clayton Community Cinema is also joining the festival again this year and Bradford Classic will be bringing family favourite, Love Bug to City Park’s big screen.